No, you’re not going crazy. 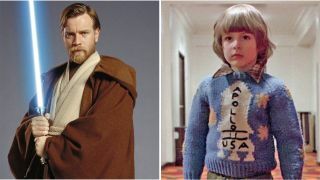 Ewan McGregor is going to play Danny Torrance in Doctor Sleep, a direct sequel to The Shining. As you can imagine, the fine people of Twitter didn’t quite know what to make of it. To tell you the truth, neither do I. First up, here’s the story: Variety are reporting that Ewan McGregor is the lead in Doctor Sleep, an adaptation of Stephen King’s 2013 sequel to The Shining. In it, Danny Torrance is all grown-up and is just a little bit out of whack thanks to, y’know, his dad trying to murder him and his mother all those years ago. That tends to mess you up just a little bit. Or so I’ve heard. For the avoidance of doubt: this isn’t a cash grab of a sequel… it’s just very, very weird. So, how did the internet react? Let’s find out! Some are just straight-up confused. …Even if there’s one or two naysayers out there. Personally, I think Ewan McGregor can pretty much pull off any role he wants so I’m happy with that. He can do crazy, conflicted, and oh-so-much more than that. In fact, he’s probably one of the most underrated actors of our time. Let’s just hope Adult Danny gets enough play to go with his work. And, for the love of god, don’t let him near typewriters, mazes, or identical twin sisters. What does everyone else think? Be sure to let us know in the comments!